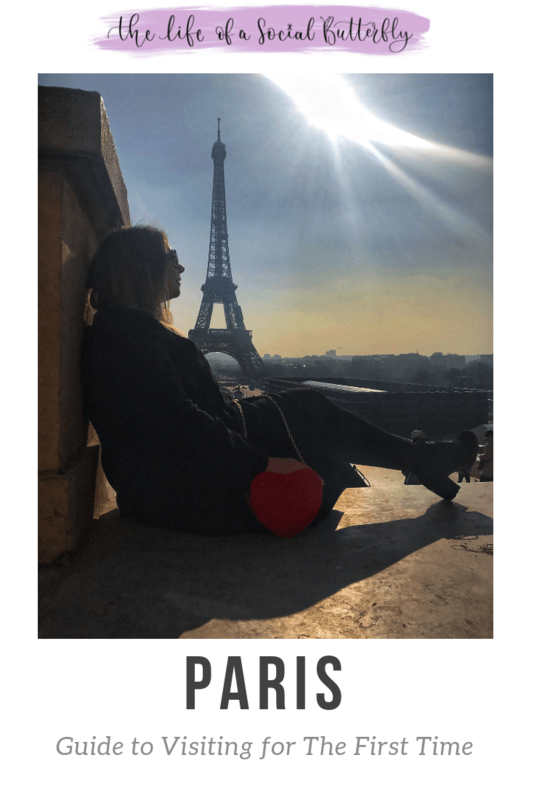 Grab your stripey t-shirts, red berets and join me in this post as I talk you through my experience of visiting Paris for the first time. 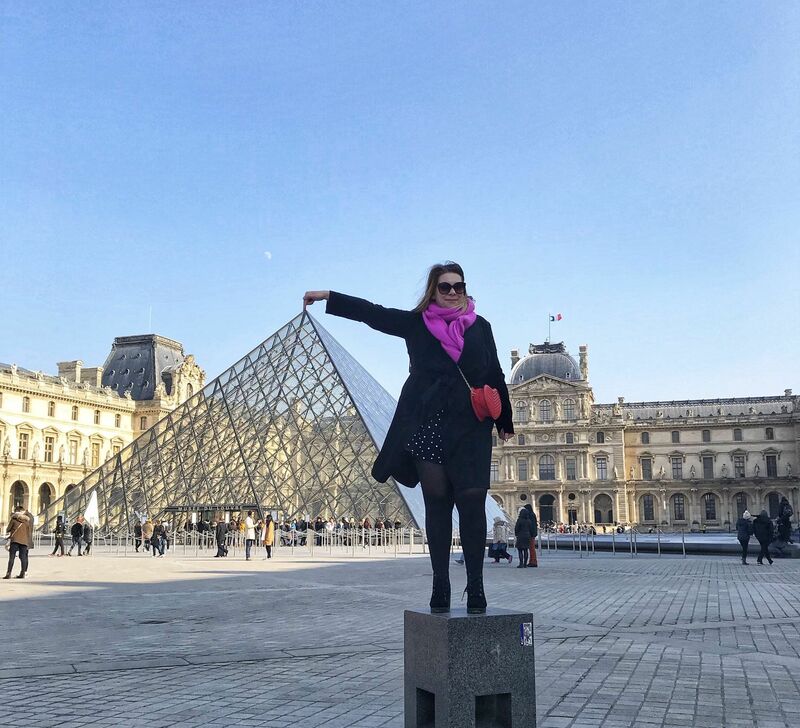 This post will cover off all the important questions: where to visit, where to eat and, some hints & tips for first-timers visiting Paris! 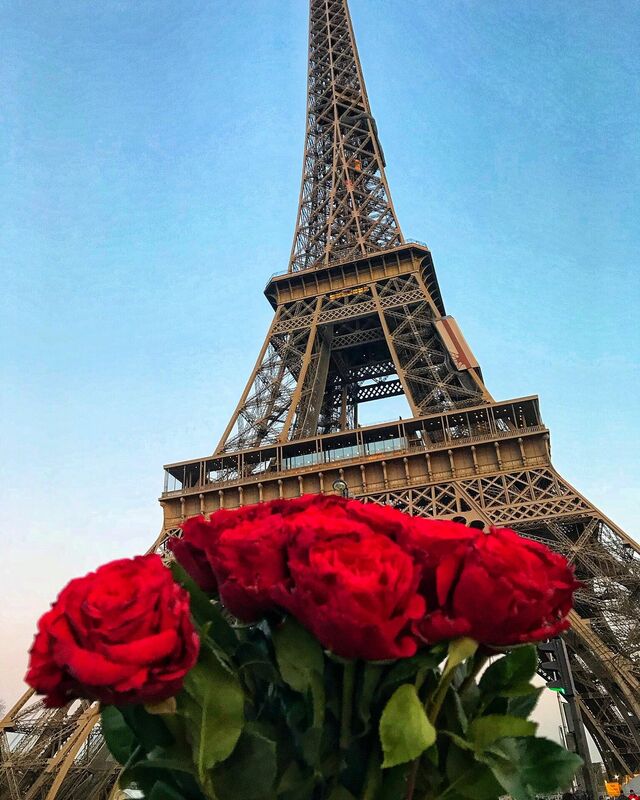 Paris is a big feature on many fashion & travel bloggers Instagram accounts, where you will see whimsical pictures of love, flowers as well as the prettiest brunch locations. A romantic city break, Paris has the perfect itinerary for couples. But, is visiting Paris for the first time quite the love story we are led to believe? Adam and I experienced a couple of scary moments, but I’ll give you more details later on in the post! We flew into Charles De Gaulle airport. 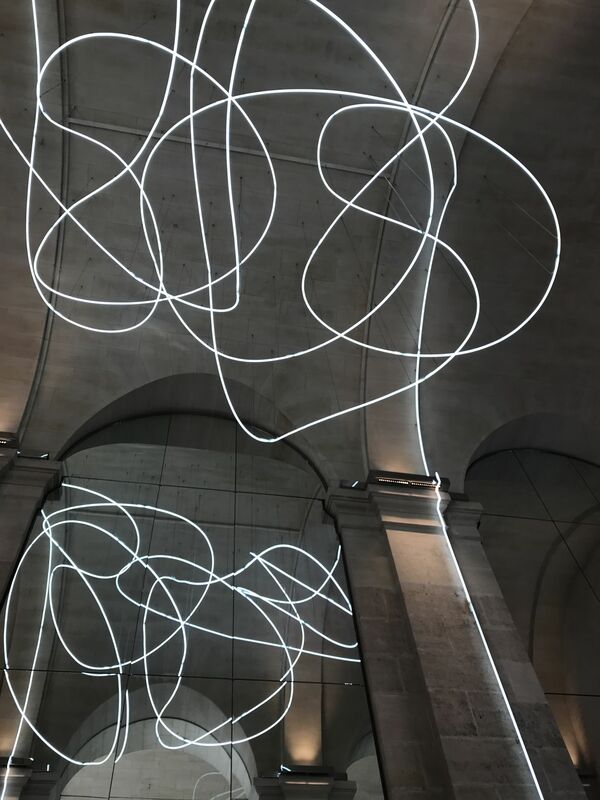 We had talked about getting the Eurostar, but as it only takes us 50 minutes to fly to Paris from our local airport, we didn’t see much point in adding travel time to our short weekend away. 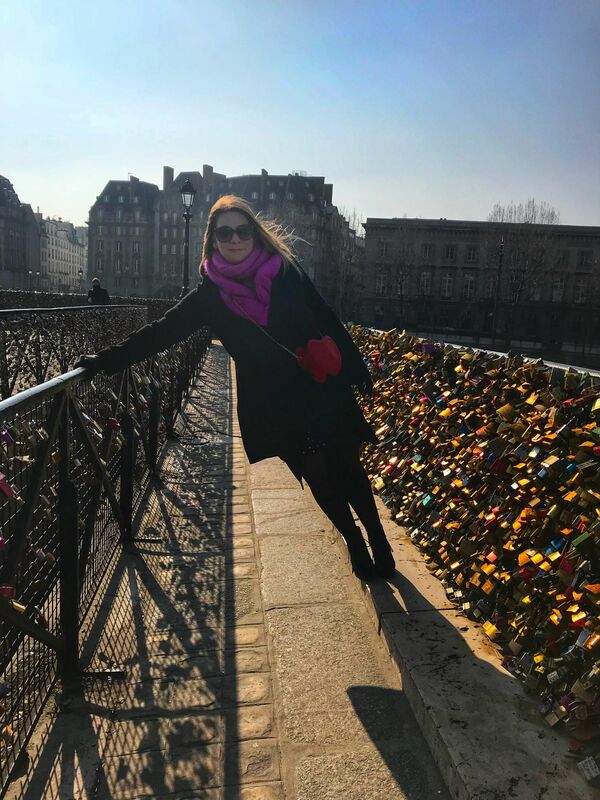 For those looking to visit Paris for longer, there are some benefits taking the Eurostar (no luggage restrictions) and some wonderful day trips from Paris to really make the most of a longer stay. I mentioned this is our first time in Paris, though, this statement is a bit of a fib as we have in fact been to Disneyland many years ago. Back then my French was much better, though looking back, we were probably too naive and should have done more research prior to travel. Without prior planning, we took a taxi from Charles De Gaulle to our hotel near Disneyland at a cost of almost €100 and, took the same journey back! What were we thinking!? 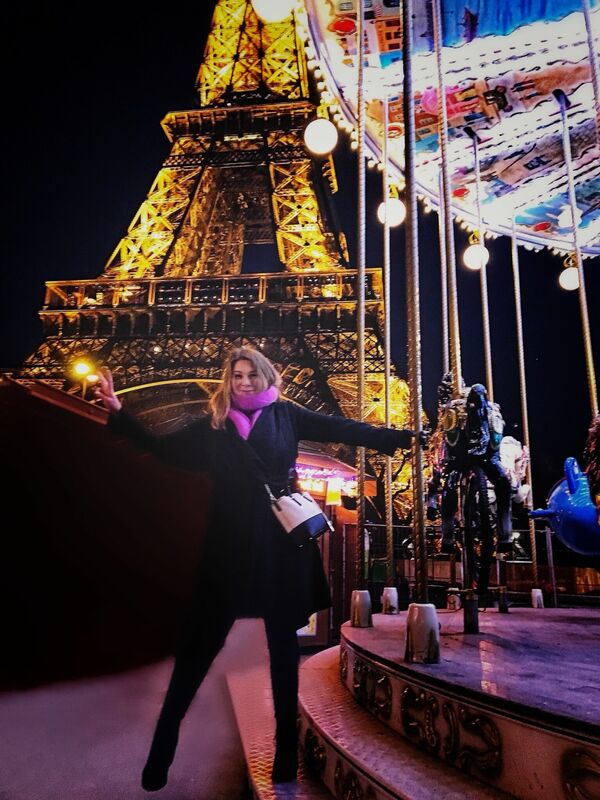 I didn’t count this experience as our first time in Paris as we didn’t see the Eiffel Tower or any other attractions; most probably because we couldn’t afford it after the taxi journey! If you’re reading this and don’t want to do the same, check out this guide of how to get to from Gard Du Nord to Disneyland Paris by RER. 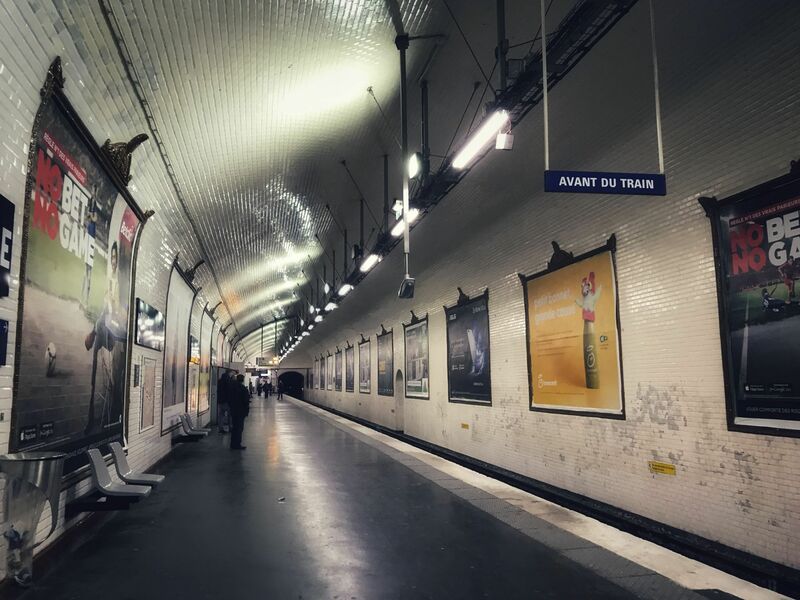 This time we took the train directly from Charles De Gaulle airport to Gare Du Nord (RER B Roissypole train), where we then took the nearest metro to our hotel. Our tickets for the entire journey were at a special anti-pollution rate of 3.80 euros each! It was well worth a short queue at the airport ticket office to get this bargain price! 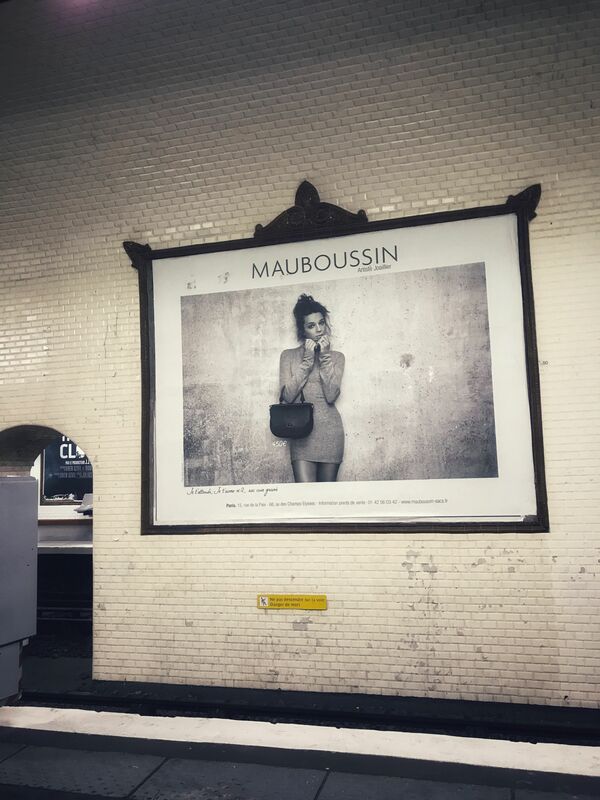 In fact, we found the metro a godsend during our weekend break in Paris. It’s cheap to use, convenient and well-manned, with staff always on hand to help with any difficulties. It also gave us a chance to warm up as the weather was – zero degrees during our February weekend break; meaning it was too cold to walk the distance between some of the main attractions. A word of caution: Be careful if you are travelling solo or in small groups late at night. We were almost approached by two men who had their eyes on my handbag, until another man approached us and guided us away. This was in one of the tunnels inside Gare de l’Est metro station. Luckily, my Kate Spade bag with Olympus Pen camera inside were not stolen and we were both able to get back to the hotel safely. Pre-planning is key to avoid stumbling across neighbourhoods which may put you at a higher risk of theft. 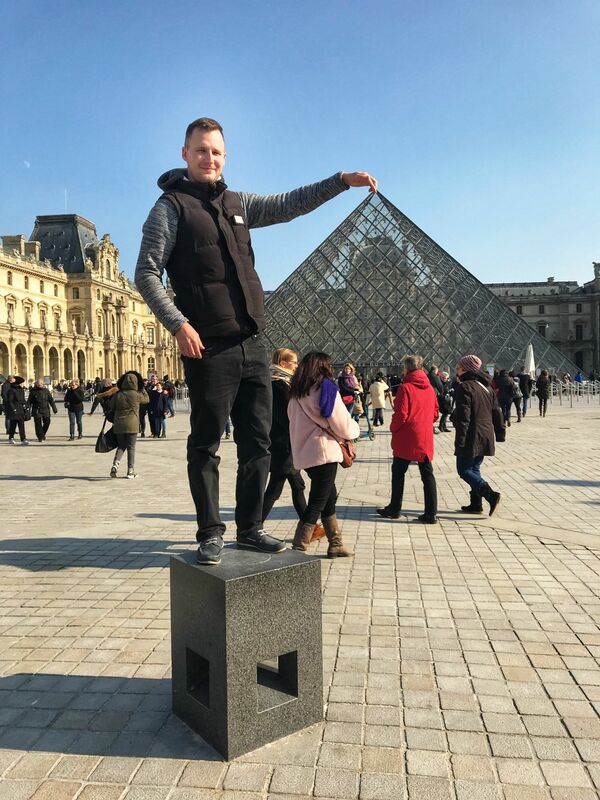 Though caution with belongings is always advisable, we found Paris to be quite the hotspot for these types of activities. 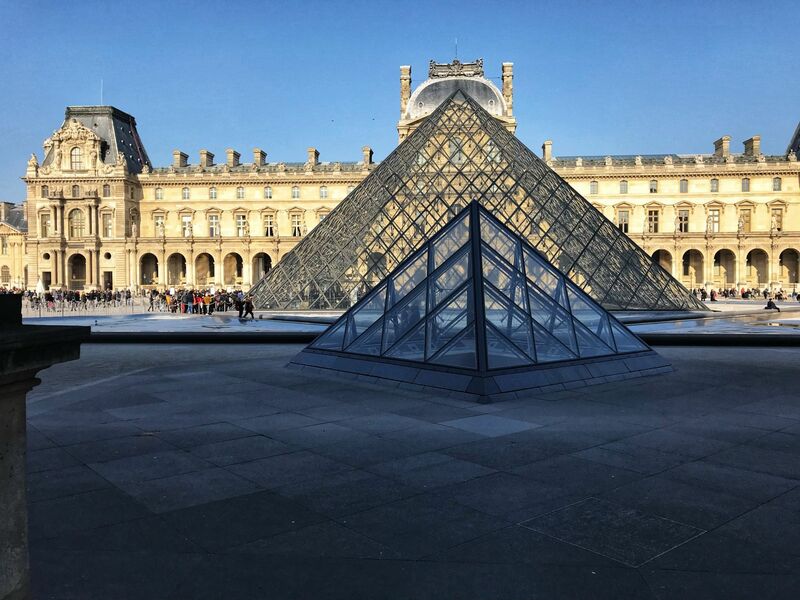 We attended the Louvre Museum – home to the Mona Lisa, late on a Saturday afternoon. I’d heard some horror stories about the queues and crowds inside the Louvre and this was the main reason we opted not to go inside. That said, the queues were fairly minimal when we arrived, particularly on the inside entrance, which we would recommend using if only to keep out of the cold. 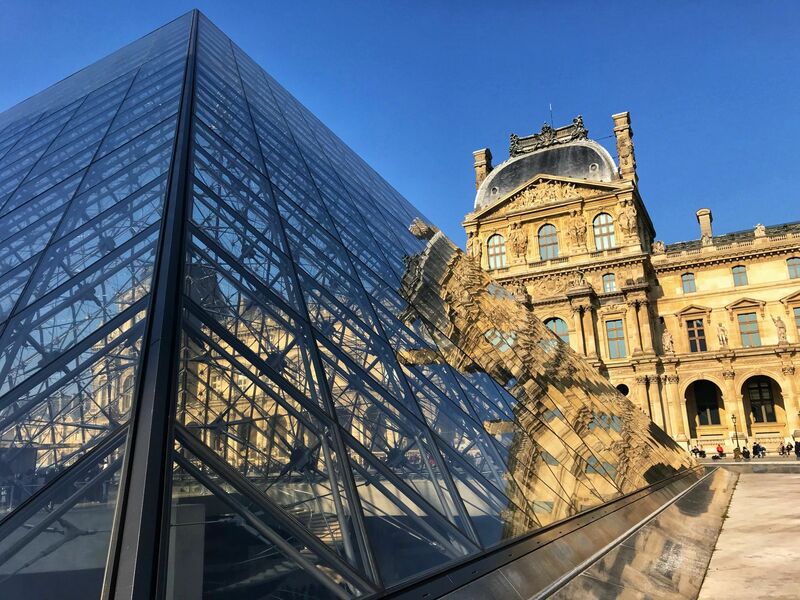 The inside entrance can be accessed on the left of the pyramids outside, signposted Carousel de Louvre and a selection of restaurants & shops are inside too. 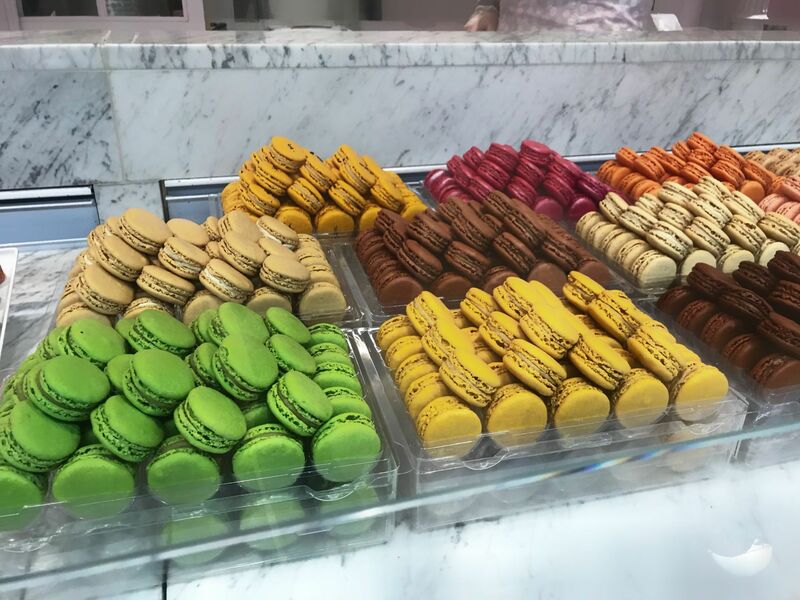 As well as viewing the pyramids from the inside, you can also pick up some French macaroons from Ladurée inside Carousel de Louvre. Be mindful of ladies asking you to sign a petition for a charity outside, these ladies are very forceful and, from reading online they have the intention of keeping your hands occupied so they can rob your bag and pockets. 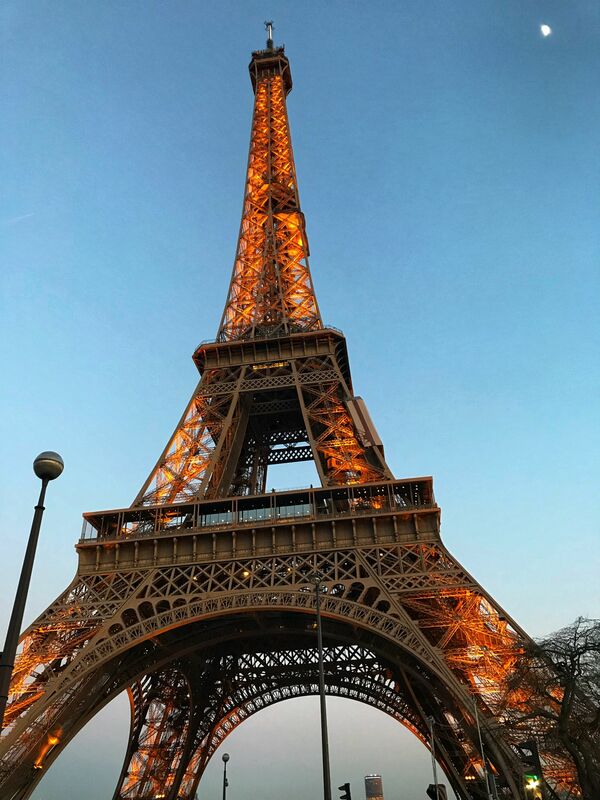 One of the most iconic and photographed buildings in the world; the Eiffel Tower is a wonder to see. I have to admit, it is much smaller than I’d imagined, though it is somewhere you definitely have to see with your own eyes. In the summer months, I can imagine it’s quite nice to have a picnic on the green overlooking The Eiffel Tower. Whilst The Eiffel Tower is always going to be a busy attraction, I would say it’s worth arriving just before sunset. 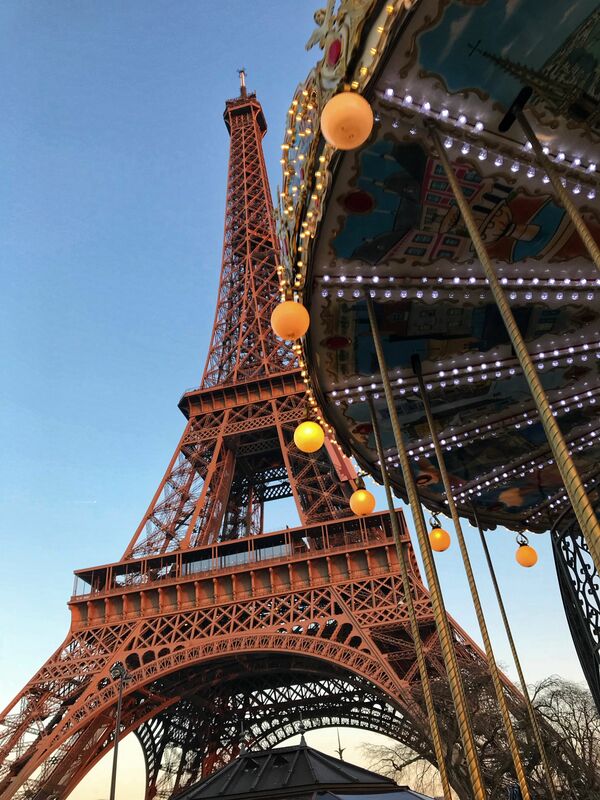 I managed to capture some fantastic shots of the carousel and Eiffel Tower before sundown. To be greeted with a twinkling display of lights at 7 pm for The Eiffel Tower light show. 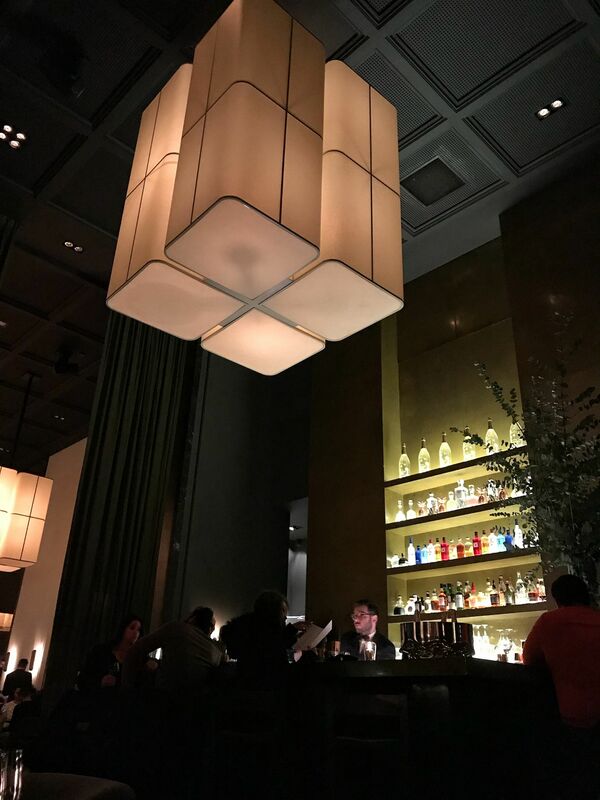 After sundown, the lights twinkle on the hour until midnight and it really is the perfect romantic spot. 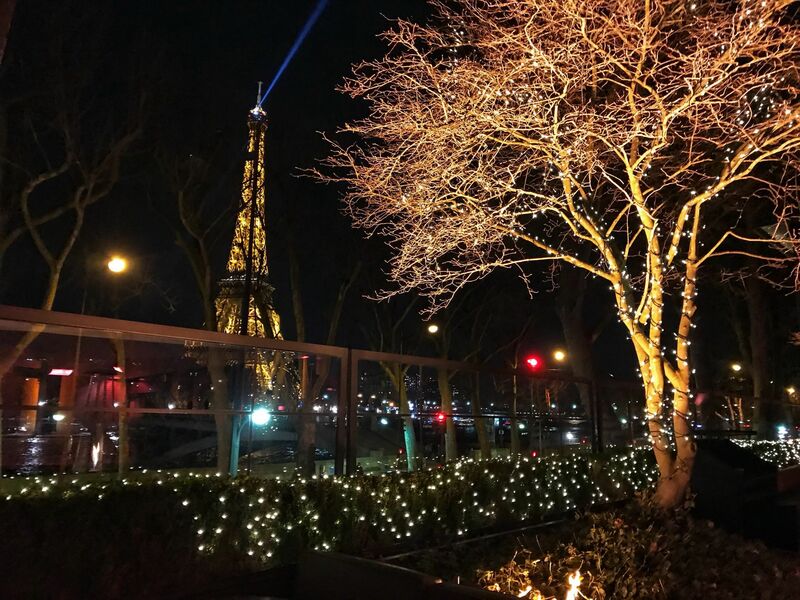 If you want to go for dinner nearby, Monsieur Bleu not only has fantastic views of The Eiffel Tower; it is one of few restaurants in Paris where it’s acceptable to only pop in for a dessert or nightcap. Read more about Monsieur Bleu on my Food in Paris post. 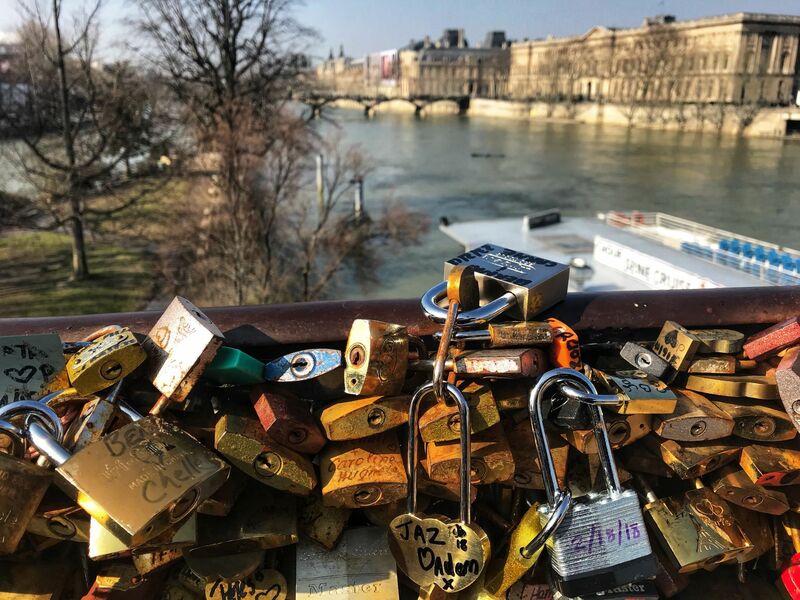 For a cherished memento of your time in Paris, why not leave a love lock at Pont Neuf. Adam and I have various love locks located in various cities. It’s something we like to do and, it’s nice to leave a token of our love on enjoyable trips. 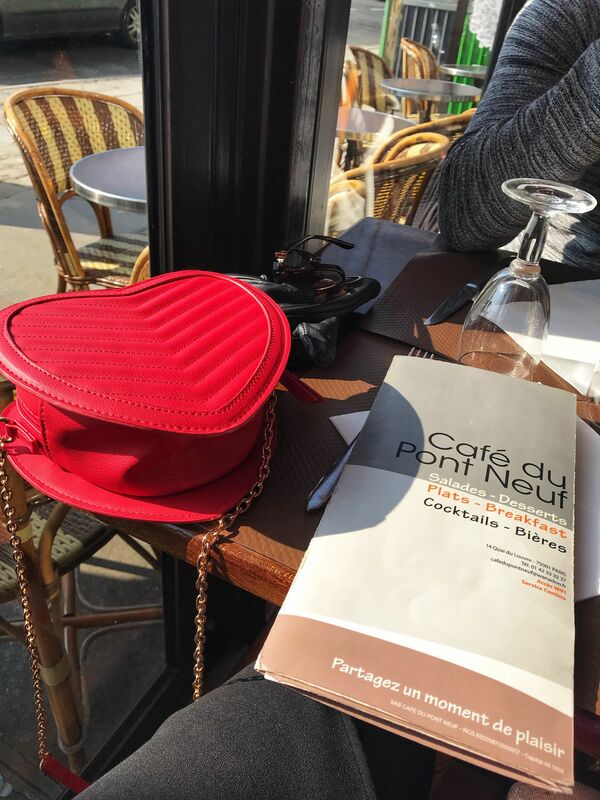 Take a little cake pitstop like ours at Cafe Du Pont Neuf, which not only has a delectable selection of cakes; it’s also a great suntrap to escape the cold weather. 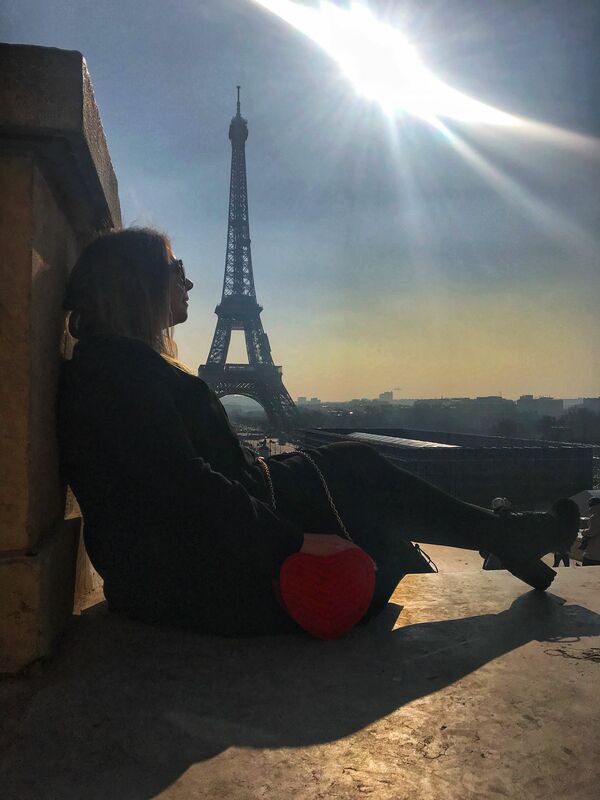 We had hoped to get to Notre Dame Cathedral for late afternoon to avoid the crowds and to capture some pictures of the gargoyles atop the tower looking out to The Eiffel Tower. 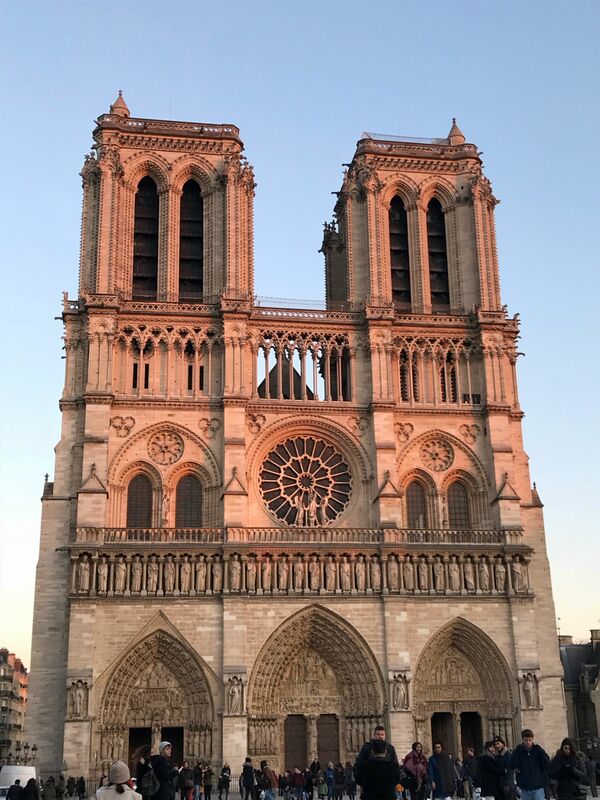 Unfortunately, we had arrived too late to go inside, but seeing Notre Dame aglow at sunset was truly beautiful. The area around Notre Dame appears much safer than some others we had encountered on our trip. 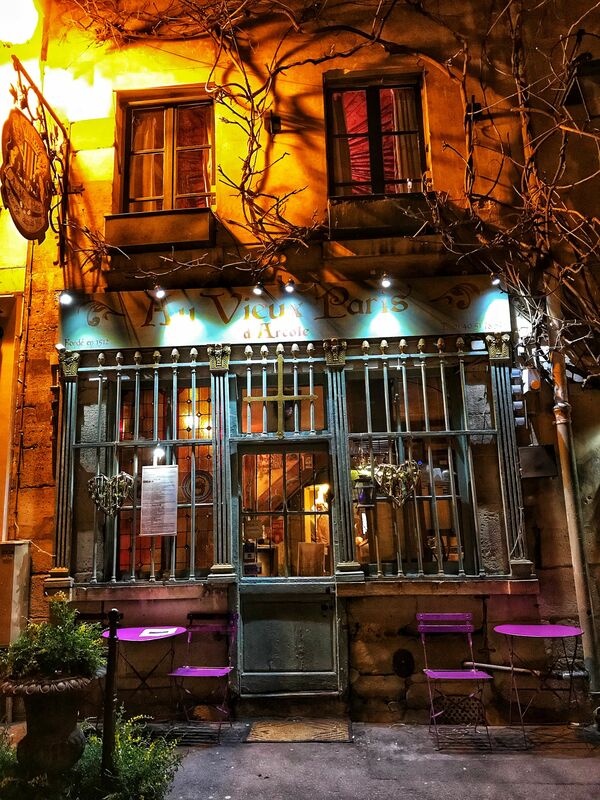 Located within a couple of minutes walk from Notre Dame is the most quaint, picturesque restaurant. In Spring, Au Vieux Paris D’Arcole is adorned with lilac wisteria. 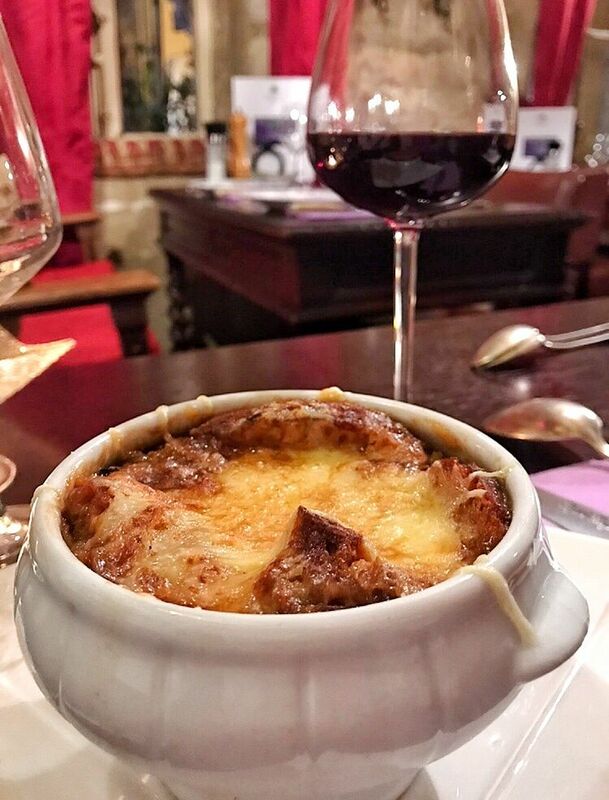 Spring or not, it’s a must if you’re visiting Paris and has the most wonderful French dishes including an extremely delicious French onion soup. Read about Au Vieux Paris D’Arcole on my Food in Paris post. 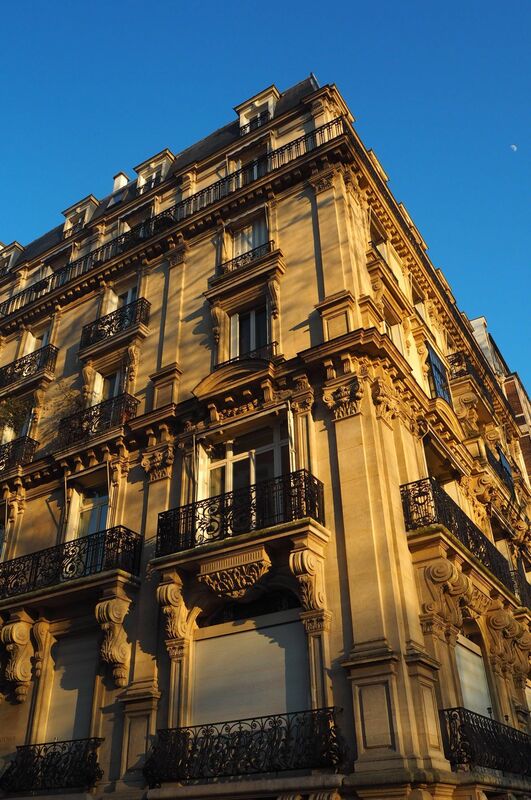 For hotels in Paris, you really are spoilt for choice, there are a variety of hotels available whatever your budget. 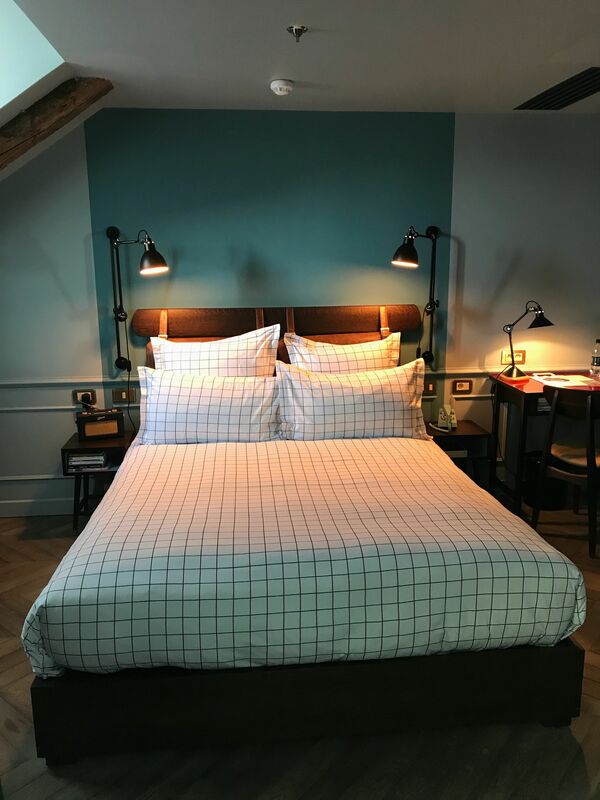 We had a thoroughly enjoyable stay at The Hoxton Paris. The Hoxton Hotel has a fantastic vibe to it that appeals to both tourists and French locals. The rooms are also soundproofed and have the dreamiest beds for the ultimate relaxing stay! Rooms at The Hoxton are from £99 and you can read more about my stay by clicking here. You may wish to wear the cliché stripey top and red beret, as suggested in the opening to this post. However, you will find the people wearing this attire will generally be tourists capturing this classic French look for their photos! 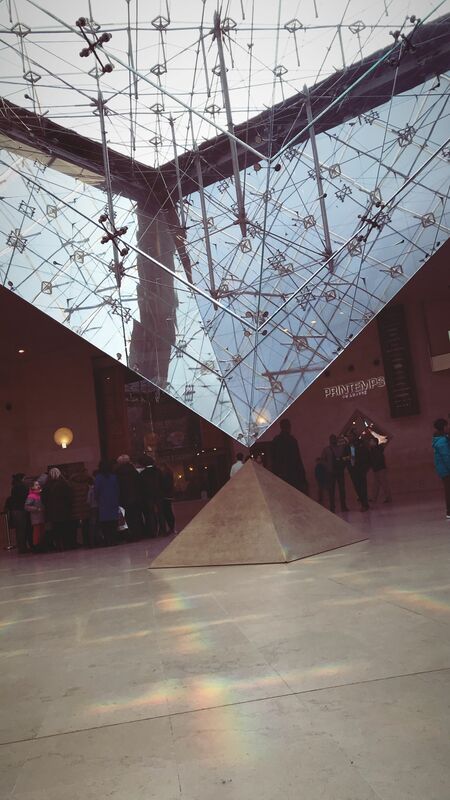 I hope this post is useful for anyone looking to visit Paris, particularly if it’s your first trip. 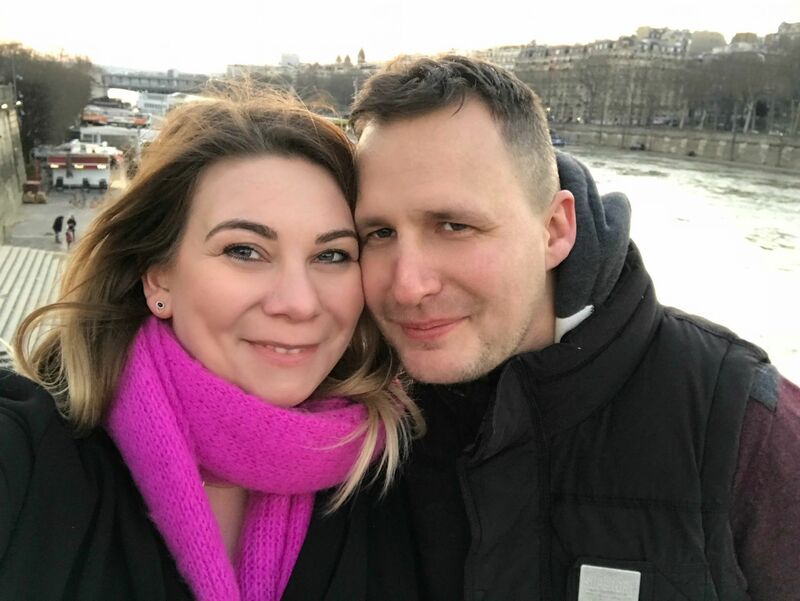 We loved our time in Paris and are looking forward to returning with a much clearer idea of what to expect to ensure our safety. 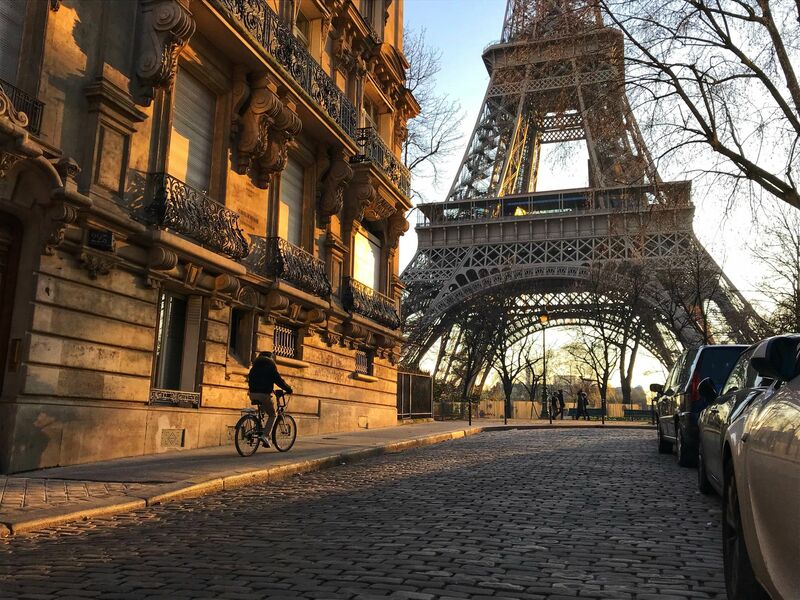 As Audrey Hepburn once said “Paris is always a good idea”, but hopefully after reading this post you will be able to visit for the first time with a good understanding of what to be aware of to ensure an enjoyable stay! 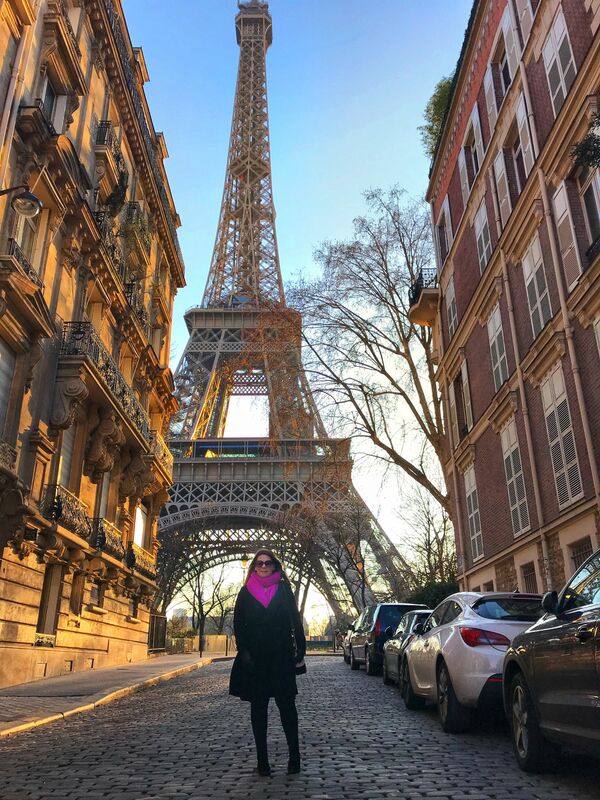 I hope you found this post helpful and feel assured that you are prepared for your first time trip to Paris. If so, please can you share this post using the share buttons on the bottom/left-hand side of the screen. 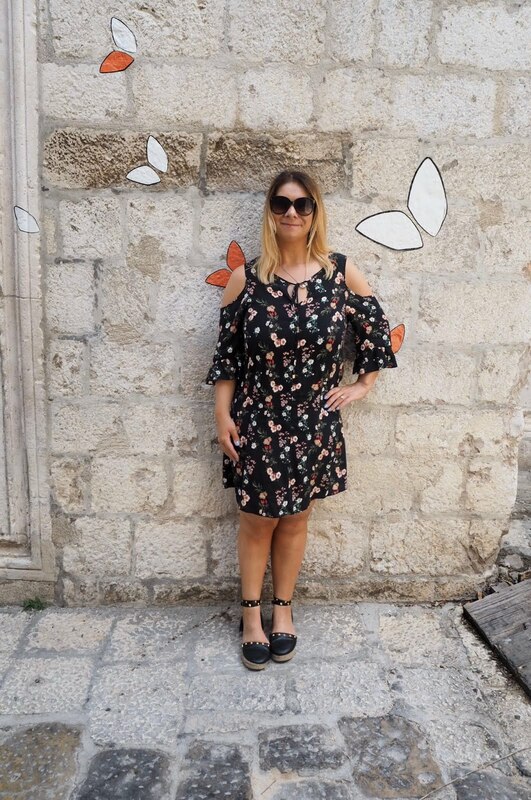 Every share helps my blog be seen by a wider audience and helps other travellers like you! I’ve never spent more than a few hours in Paris as it was a layover, I used the metro but that was at rush hour and it was absolutely awful! I don’t recommend it then lol! Great guide though! Sorry to hear you had a bad experience too Lorna! Overall, I found the Metro convenient, easy-to-use and well-manned but I think something needs to be done to prevent crimes in the tunnels with greater uses of cameras and security procedures! 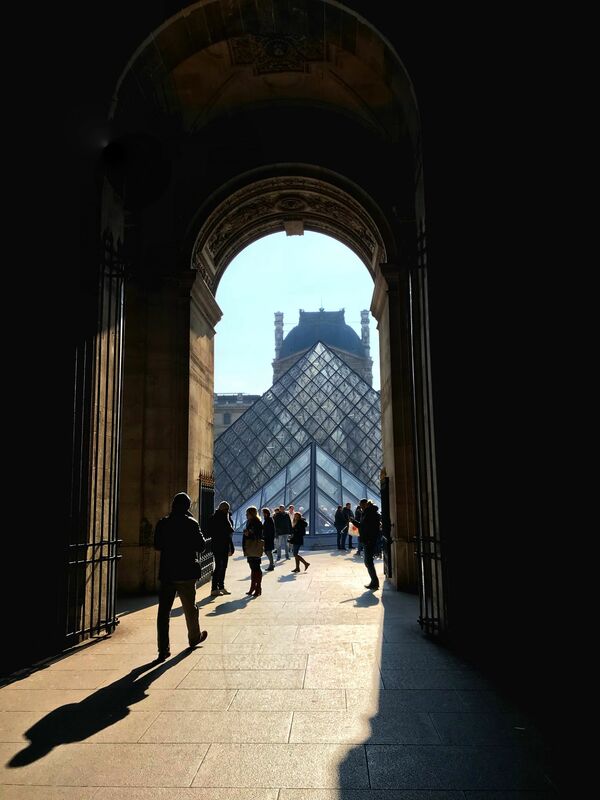 If you plan well, you really can see so much during a short amount of time in Paris. 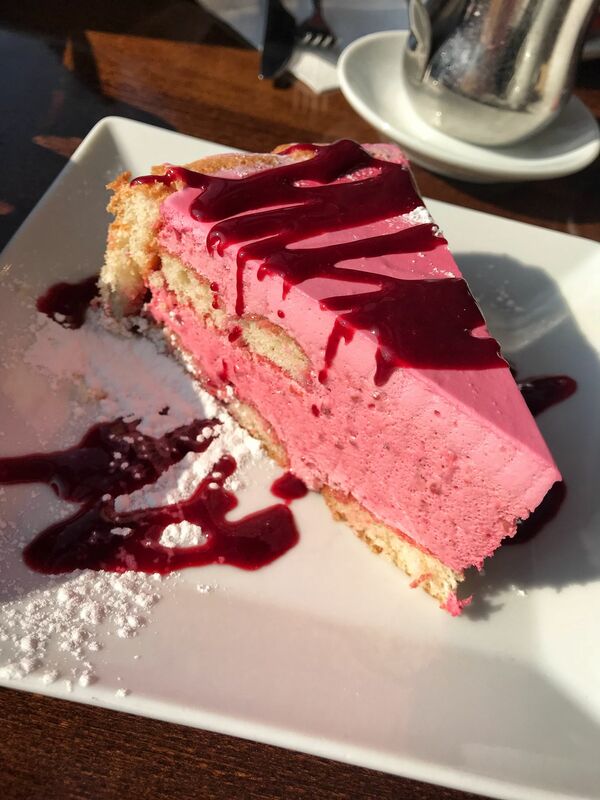 We actually saw everything we wanted to in just one day in the city – the only thing I reckon we missed out on is some classic french food! Love your guides Jasmine – so informative! Such a great guide! 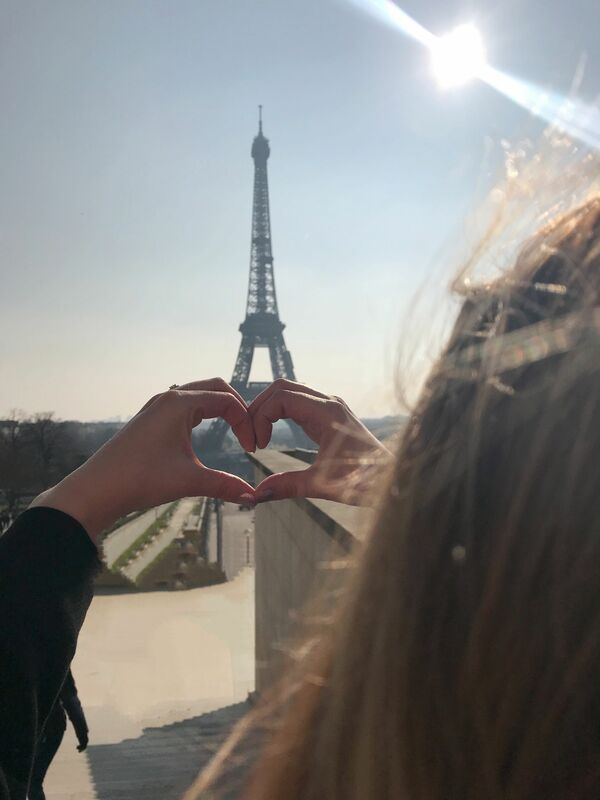 LOVE Paris! I’m going to Paris for the first time in September, so I’m so glad you wrote this!! Can’t wait to see everything. 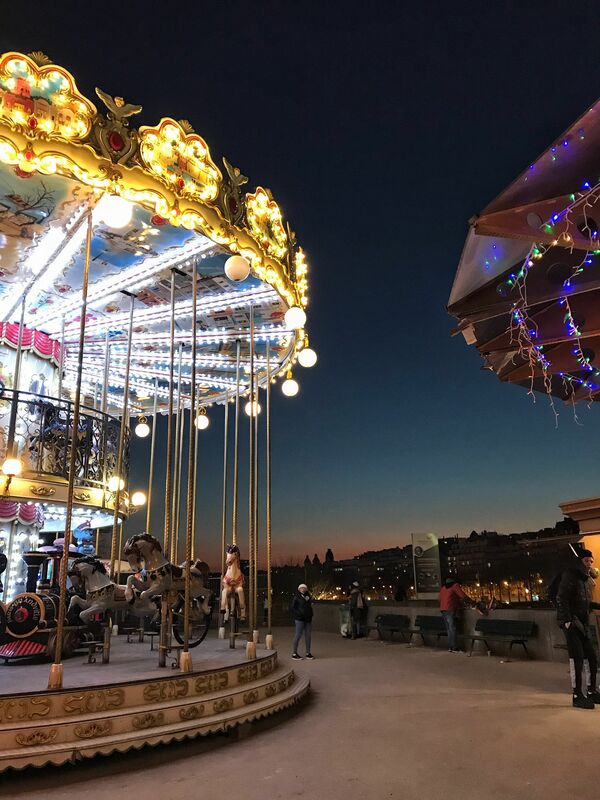 Once a bustling village outside Paris’ city walls during the Middle-Ages, Montmartre still retains its village ambiance with small streets, quaint shops, lively restaurants, a tiny vineyard and other fascinating curiosities. Walk in this Paris neighborhood where artists Picasso, Dali and more once did and discover the magic of Montmartre.